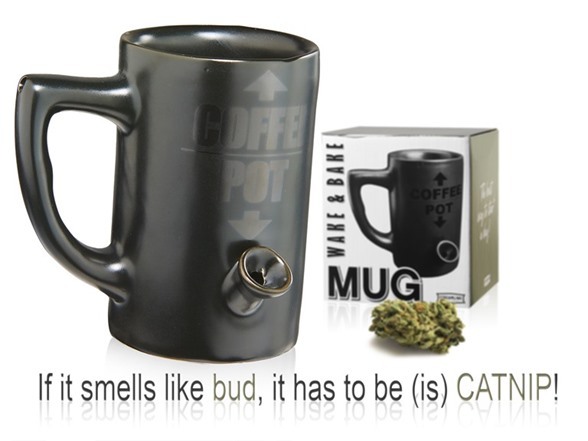 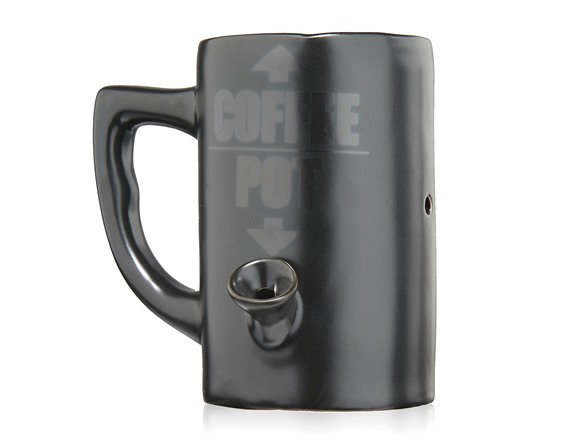 The double entendre is as strong as the coffee in this Coffee & Pot Mug. 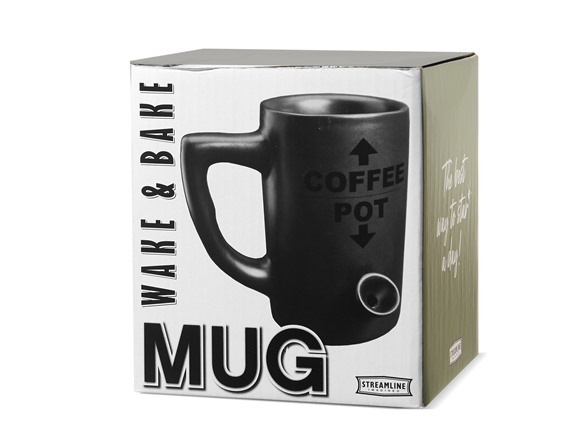 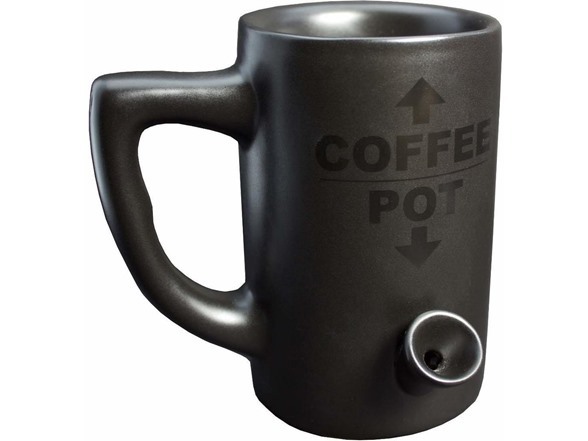 This mug holds your coffee and other morning refreshments all in one mug--a coffee "pot" for when you've got the munchies and need to wake up. 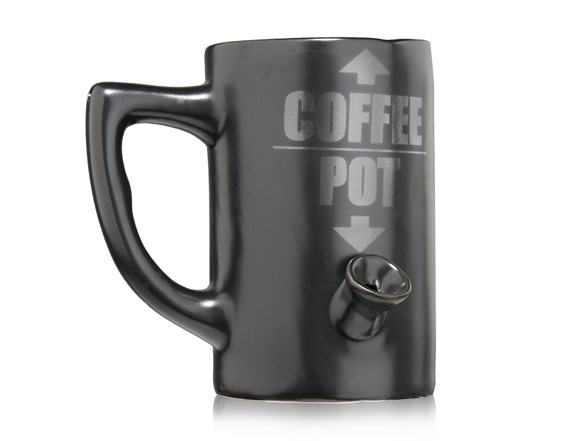 Where else could you get a coffee mug that serves two purposes?